The Order of DeMolay is an International Youth Organization dedicated to developing young men into successful and responsible adults. 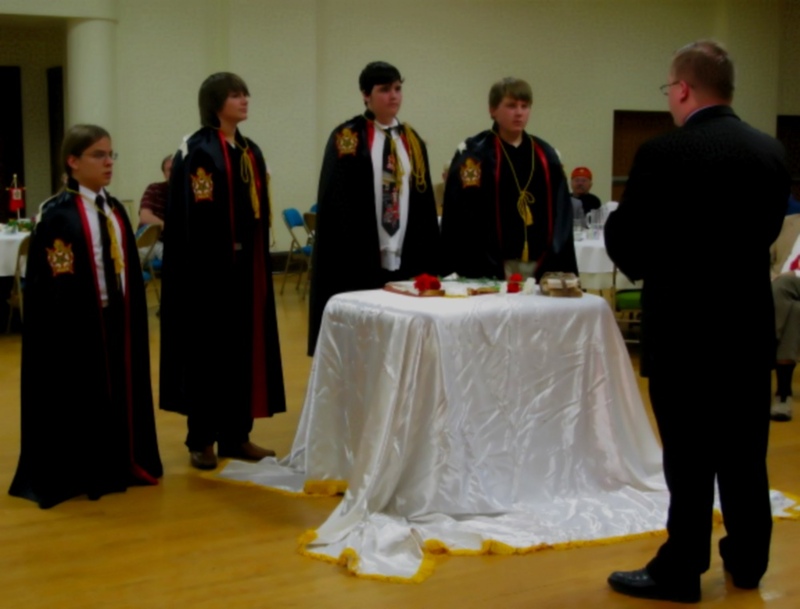 The Order of DeMolay is a non-profit corporation with an international office located in its own building in Kansas City, Missouri and more than 1,000 chapters worldwide. DeMolay membership is open to any young man of good character who is between the ages of 12 and 21. Although DeMolay Chapters are sponsored by Masonic Bodies, it is not necessary that a young man be a son or relative of a Mason in order to belong to DeMolay. The organization was named for Jacques DeMolay, the last Grand Master of the Knights Templar, who was burned at the stake by King Philip of France on March 18, 1314, as a martyr to loyalty and toleration. Some famous DeMolay include Walt Disney, Bill Clinton, John Wayne, former Quarterback of the Minnestoa Vikings Fran Tarkenton and former Minnesota Twins player Harmon Killebrew. DeMolay is not meant to take the place of home or church, but rather supplement them. Members are reminded that they get out of DeMolay what they put into it. A DeMolay will form lasting friendships and also learn responsibility and self-reliance. Some of the events sponsored by Minnesota DeMolay include: ski weekends, paintball, flag football, speech tournaments, dances, video game tournaments and much more. Find other Minnesota DeMolay Chapters.